If you already have a provisional licence and are making plans for renewing your security licence, you've come to the right place! If you have a provisional licence with both the 'general guarding' and 'crowd control' endorsements, you will need to complete a total of 14 units from a combination of Certificates I, II and III in Security Operations before you can renew your provisional licence to a full licence. You can find the full list of the units at the bottom of the page. 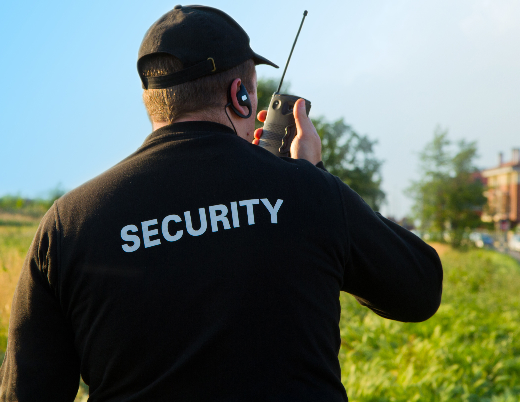 We can offer you a training package which includes all of the units that you'll need to complete to be able to get your full employee security licence for general guarding and crowd control. All of the training (except the practical self-defence assessment) can be completed online, and our friendly trainers are just a phone call away to help you if you get stuck. If your current provisional licence only has either the general guarding or crowd control endorsement, you will need to may need to complete either 11 units to obtain your full general guarding licence, or 12 units to obtain your full crowd control licence. If you have a single endorsement on your provisional licence, but would like to obtain a full licence with both the general guarding and crowd control endorsements, you will need to complete the stardard 14 units plus some extra units that weren't included in your original training. We can tailor our training packages to only include the units you need to get the type of licence you want. This means that we won't charge you for any extra units that you don't want or need. We also provide training for all units in Certificate I, II & III in Security Operations and Certificate IV in Security & Risk Management. If you've already done some of the units for one of these certificates and would like to upskill to get the full certificate, we can provide a training package with just the units you need to complete your full certificate. This list is a combination of the required units as published on the Department of Justice website here (for general guarding) and here (for crowd control).